Prof. Dehne’s research program focuses on improving the performance of big data analytics systems through efficient parallel computing methods for multi-core processors, GPUs, processor clusters and clouds. His team specializes in high performance computing systems for business intelligence and computational biochemistry. Their work enables data scientists to perform complex data analysis operations on very large data sets. Dr. Dehne’s research looks for ways to improve the performance of big data analytics systems through parallel computing methods. His research looks at methods for multiple types of processors including multi-core, GPUs, clusters and cloud processors. His work enables data scientists to perform complex data analysis on large data sets. This extends into the world of biochemistry where Dr. Dehne has worked alongside Dr. Ashkan Golshani to form a spinoff company, Designed Biologics Inc., which develops a new class of drug peptides with binding properties that target pharmaceutically valuable proteins. By combining molecular interaction analytics with high performance computing, Designed Biologics architects new small proteins (30 to 75 amino acids) for the treatment of human diseases and diagnostics. Dr. Dehne began teaching at Carleton University in 1986 and was appointed as a Chancellor’s Professor of Computer Science in 2009. He received his Master of Computer Science degree at RWTH Aachen University, Germany and his Ph.D. at the University of Wuerzburg, Germany. He has since served on the Editorial Boards for numerous publications including IEEE Transaction on Computers, Information Processing Letters, Journal of Bioinformatics Research and Applications, and Int. Journal of Data Warehousing and Mining. Dr.Dehne is a member and former vice-chair of the IEEE Technical Committee on Parallel Processing, and member of the ACM Symposium on Parallel Algorithms & Architectures Steering Committee. 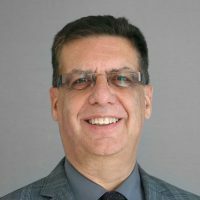 In 2010, he became a Fellow of the IBM Centre For Advanced Studies Canada in the Business Intelligence and Business Analytics sections.